Home / Blog, Q&A / Ask the Horizons Team: I have a teenage son who just cannot get up on time in the mornings. I have a teenage son who just cannot get up on time in the mornings. He sets his alarm, but continually hits snooze and just can’t seem to get himself up and going. This has been an issue for him since he was a child. Mornings just don’t seem to be his thing! We’ve tried many things to help over the years, but I wondered if you have any new ideas. 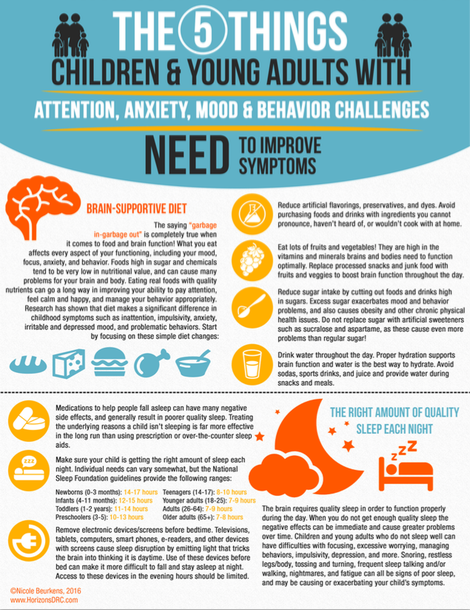 This can be a very difficult issue, especially in the teen years when kids need more sleep and often have to get up for school very early. One thing you may want to try is a slow wake alarm clock. These types of clocks mimic the sunrise and slowly bring a person out of a sleep state and into a wakeful state. You set the clock for 30 minutes before you need to wake up, and over that half-hour the light on the clock will slowly get brighter and the sound will gradually increase (most have options for nature sounds, music, alarms, etc.). It is a more natural way to wake up gradually, as if you were sleeping outside and waking with the sunrise. I know many teens and adults who have been able to wake up easily for the first time in their lives using this type of clock. Someone recently told me that there are some apps available for smart phones that can do this as well, so you may want to look into that. You can find various clock options on Amazon at a variety of price points. Obviously, good sleep hygiene (going to bed at a decent hour, not drinking caffeine in the evenings, etc.) is necessary as well. However, it sounds like you’ve tried those things. See if a slow wake alarm is the ticket for your son and let me know how it turns out! You have a very common problem and Nicole has offered a very intersting and unique solution. I have not heard of this type of alarm, and if it works wonderful. I would go for it! However, for the sake of readers with younger kids, I think the problem can best be avoided. Start when you child is 5 and starts school by giving him an alarm clock and teaching him how to set it. Then put gettting up in his hands. If he fails to get up and misses, yes I said misses, school that’s too bad. Kindergarteners love school and he won’t want to miss again. Or you can start the summer before he starts school. Let him miss a soccer practice or a swim lesson if he does not get up or fails to set the clock. Not only will you be making your life easier, you will help him establish a good life-long habit, and he will begin to learn responsibility. How can you beat a concept like that? Back to Tom’s question: If the gradual awaking does not work remember that teens need 9-10 hours of sleep a night and that their biological clocks are set for 25-26 hour days. Consequently, left to themselves, they will go to bed late and sleep late. As people age the clock changes to 22 hours and old folks go to be early and get up early. In a few weeks he can begin to take a weekly late night and morning sleep in. But more than one per week will mess him up again. Another way to re-set his clock is to have him stay up all night and day without naps! Best if he can have some kind of physical work during this time. Example: he gets up tomorrow morning at 7,8, or 9 whatever he is used to and stays up until the following evening and goes to be at 9 pm. When 7 AM comes he will have had a good nights sleep and by “making HIMSELF” get up will have re-adjusted his clock. But, he has to be willing to do this. If he is not willing there is no help for him; no clock, biological, physical, or alarm, can force a man to do what he doesn’t want to, and he will have to learn the hard way.